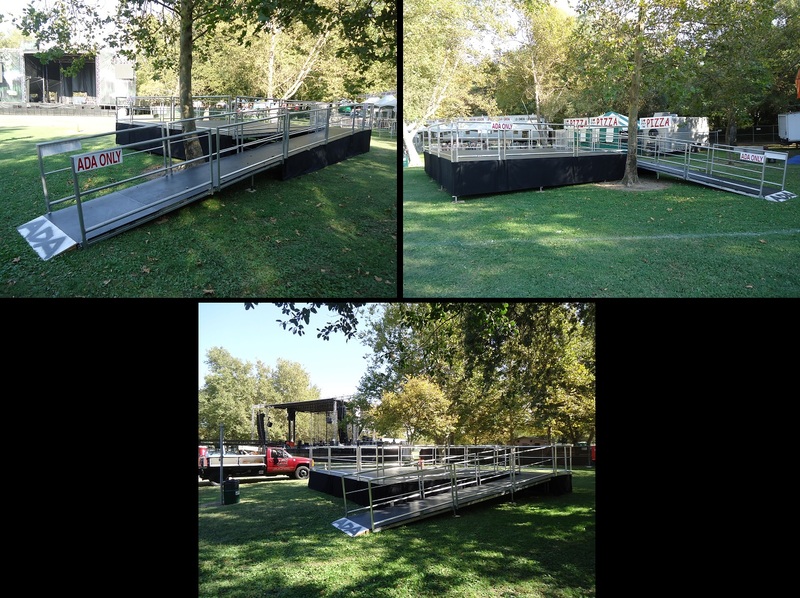 ADA Ramps and Stages for rent from Stage CMDR, Inc. in Sacramento. Having your event or project ADA compliant will only increase the overall amount of attendance. Which equals to more sales and it also shows you want your event to be catered to everyone. Including those who are handicapped. Lets face it, for every person in a wheel chair, they bring it least 1 or 2 people with them to the event, sometimes more. If you promote on your web site and flyers that your event or project will be ADA compliant, you will reach a whole new audience that would have never thought to come in the 1st place. Handicapped people should not be restricted from attending an event that will allow them to have fun. They deserve to have fun just like everyone else. A lot of pride and passion goes into each ADA stage that Stage CMDR designs and constructs. The looks of the faces of the ADA attendees is priceless, especially when they have the best seat in the house giving them eye level site of the main attraction. 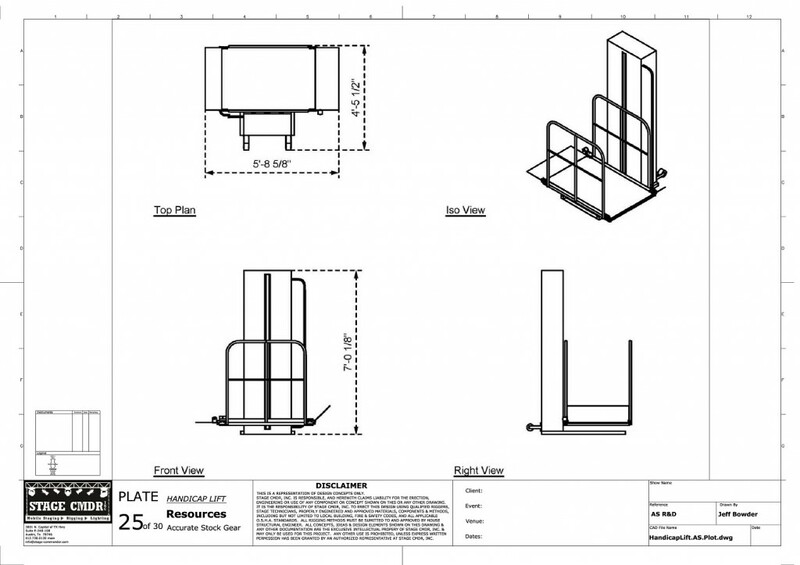 Each ADA compliant stage is built to specific fire code regulations. The size of the stage can be any size and height. Its the ramp up to the stage is what needs precise angle every so feet and a resting platform every for the longer ramps. The higher the stage, the longer the ramp needs to be. 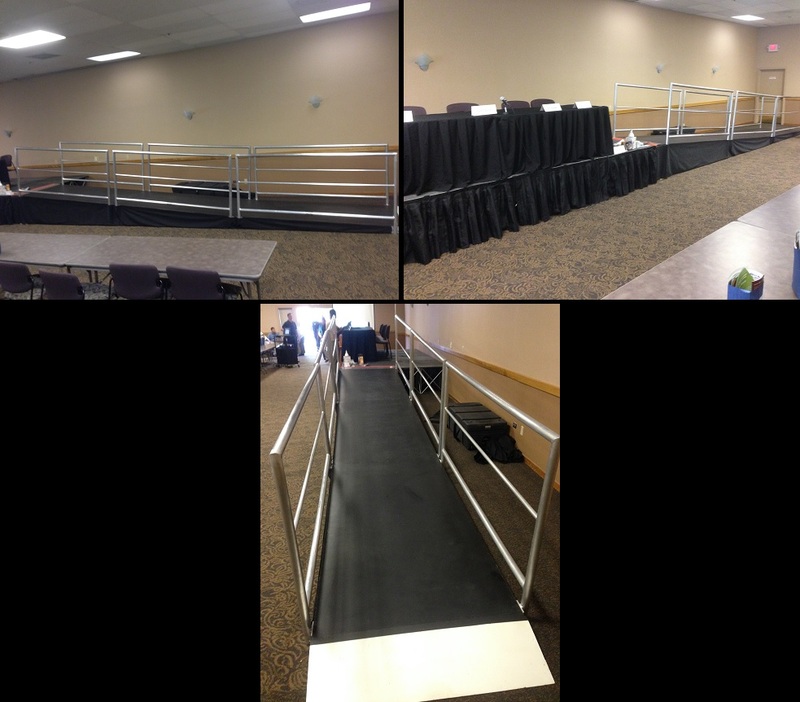 Stage CMDR also can offer ADA compliant handrails for certain events that require them. Wheelchair lifts are available for rental if there is no room for a ramp to be built. In 10+ years, Stage CMDR has passed every fire code inspection for every single ADA stage that has ever been constructed. Also available for rental are 2 types of handicap lifts, 2″ to 48″ and 2″ to 72″ heights. Copyright © 2019 STAGE CMDR, Inc. all rights reserved.